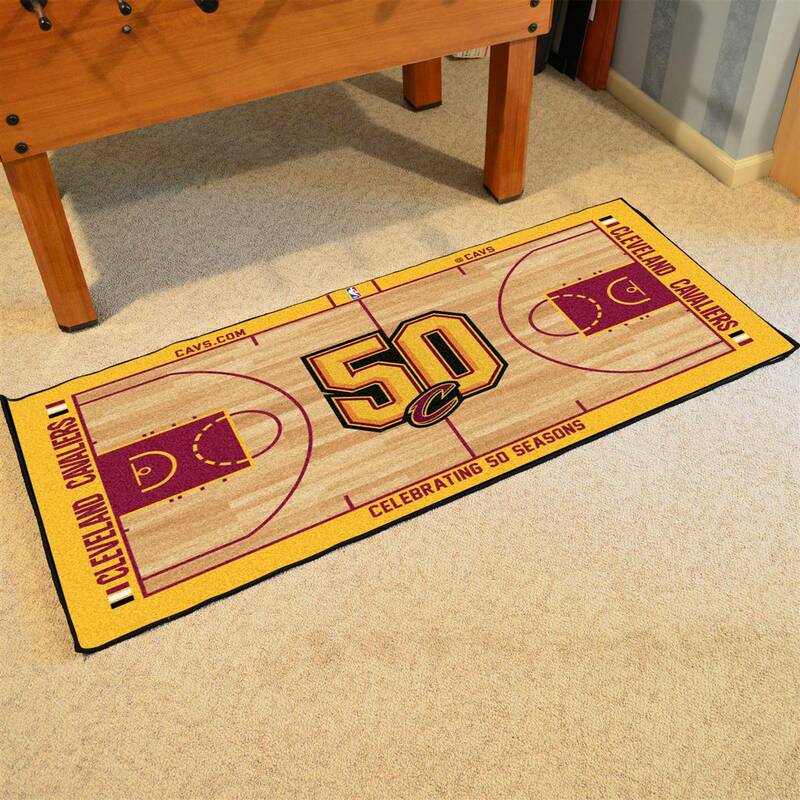 Support your favorite NBA team with these basketball court-shaped runners by FANMATS. Made in U.S.A. 100% nylon carpet and non-skid Duragon latex backing. Machine washable. Officially licensed. Chromojet printed in true team colors. • Perfect for fans of the Cleveland Cavaliers!